Well it’s taken over 6 months but I do take some real satisfaction in seeing the record books updated. There was a lot of good will from close supporters and I’m really appreciative of all those that contributed in different ways. To achieve 383 km/hr with an average speed over the Km of 355, it really was an amazing experience and a fantastic result for all involved. At the time I set our Land Speed Record there was some storm in a tea cup type media around Records set over different distances… You can read my Blog from last year here. The reality is there are several distances that qualify for you to attempt a Land Speed Record in, however the outright Landspeed Record (as stipulated by the FIA) is the fastest average speed achieved irrespective of distance (provided the distance is one sanctioned for record attempts). 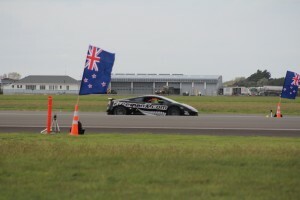 I’m pretty proud of the fact that I now hold the fastest Speed Record achieved in NZ history. Whether is stands for a year or 10 years it’s not of concern, in fact one of the reasons we chose to attempt to break a 16 year old record was to hopefully reignite some kiwi ambition and see more attempts follow ours. I really do hope the attitudes that emerged through various avenues in response to our Record run haven’t smothered the spirit of future ambition. 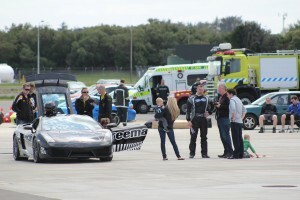 If you would like to get behind the wheel and drive the car I set the Record in, believe it or not you can! Hasn’t it always seemed that New Zealand reality shows lacked a certain, arr, well…. everything. They so often seemed the poor cousin to their international franchise partners, often it was just straight out embarrassing. I use to wonder whether they would play them late at night in other countries just as a piss take off New Zealand. Finally a New Zealand Franchise has stepped up and delivered a quality show. The X-factor has shown that we can get it right when we follow the format to the tee. I’ve thoroughly enjoyed the show so far and it’s really renewed my enthusiasm in New Zealand talent. Well done TV3 for investing the money needed to deliver a quality show and well done Simon Cowell for being so bloody good at what you do. Keep it up kiwi musicians, you are without a doubt world class!